Where does H&G’s enthusiasm for native plants come from? One source is our landscape architect Phillip Merritt, who trained at the University of Virginia, learning the approach of great designers such as Frederick Law Olmsted. Olmsted is best known for his beautiful natural plantings in Central Park and parks throughout the country. Designs like these had a strong influence on Phillip and he began to appreciate the value of native planting, both for historical and environmental reasons. Not only does the beauty of native plants define the character of a particular area, but they’re also practical. Over the ages, native plants have adapted to the conditions of our local climate and are able to withstand our hot summers and occasional dry spells without the extra water, fertilizers, and pesticides that imported plants often need. Native plants also have beneficial effects on wildlife, providing food and habitat. “Think about all the songbirds in your yard,” Phillip says. “What do they eat?” In spring, songbirds rely on insects to feed their young, as berries and seeds aren’t available yet. “Those insects feed on the leaves of native trees and shrubs,” he says. Typically, native insects aren’t able to digest imported ornamental species such as camelias and boxwood. So, if you want songbirds, it’s important to provide a source of plant matter that insects can thrive on. Relax. You don’t have to be an environmental purist to use natives. “Have fun with your yard! You can certainly mix your favorite plants with native plants and still have a great effect on your local environment.” Just keep in mind that the more native plants you use, the more benefit they’ll provide. Among some of Philip’s favorite native plants are Little Henry sweetspire, winterberry, and sweetbay magnolia. If there is a problem with native plants, it might be finding them. Many plants like clethra, sweetspire, or native trees are easily available at local nurseries. But native perennials aren’t as common commercially and may be a little harder to locate. 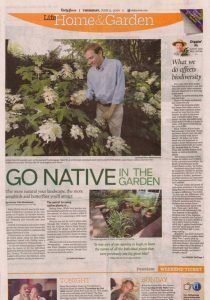 “We often use sources in Richmond for native perennials. But if you want to start out with just a few plants, try the plant sales at the Virginia Living Museum or the Virginia Native Plant Society,” says Phillip. And don’t overlook online resources. “I’ve gotten lots of plants from obscure on-line nurseries and been very happy with them.” Two such vendors are Heronswood and Plant Delights. Do you have a question about how to select native plants or how to determine what’s native to your landscape? 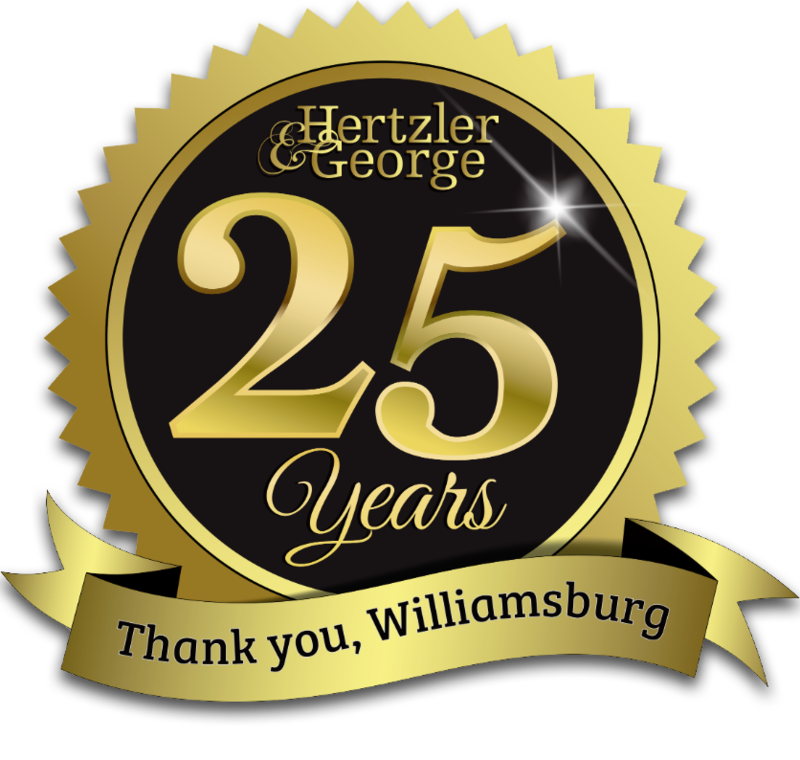 Write to us below or at joe@hertzlergeorge.com. Or keep an eye out for one of Phillip’s native plant walks offered through the Virginia Native Plant Society.